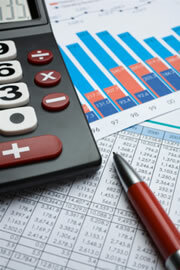 What Bookkeeping Qualifications Do I Need? There are many different credited qualifications examination body’s out there, the following are the most widely recognized by bookkeeping employers. You can study for most of these through online college courses full or part time. If you work in an office environment then there is no doubt that gaining a bookkeeping qualification is going to benefit you in your career. Think about it, say you are skilled at bookkeeping but haven’t yet had time or inclination to get a qualification. Now say you see a bookkeeping job advertised that interests you and you decide to send them your CV, Its a good job and there are many applicants applying for the position. Who do you think the employer would pick? You may well be the most skilled applicant but perhaps some others are skilled and have the bookkeeping diploma to prove it. Employers like to see people gaining qualification’s because it proves the person is committed in developing their skills.